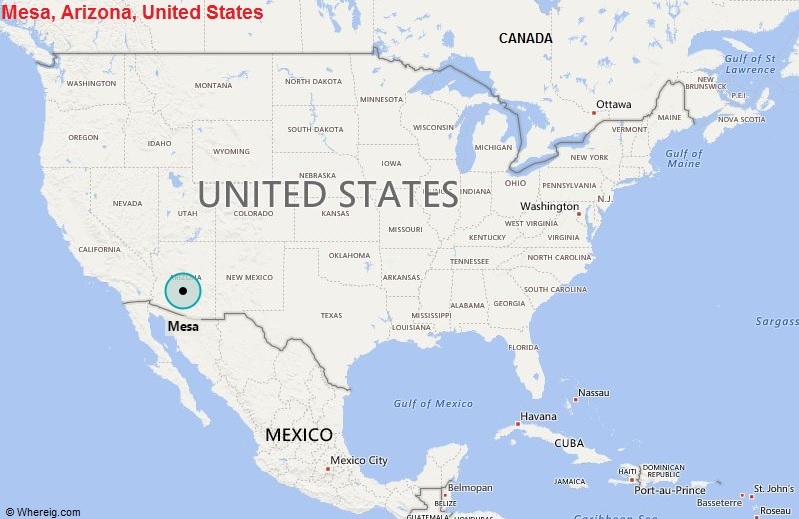 About Map: Map showing the Location of Mesa, AZ in the US. Mesa is a city in Maricopa County, in the U.S. state of Arizona, located at the central part of the state. It is the third-largest city in the state of Arizona, after Phoenix and Tucson, and the 38th-largest city in the US.